“Maddie” takes home the Region 16 Championship in PB Performance Mares in hand, Reserve Champion in PB Training Level Dressage, Top 5 in PB Western Basic Dressage, Top 5 in both PB SH Under Saddle Jr horse Hunter style and Dressage style and 2 Top 5’s – PB SH in hand Dressage type and PB Hunter Pleasure for the Junior horse. Way to go!!!! 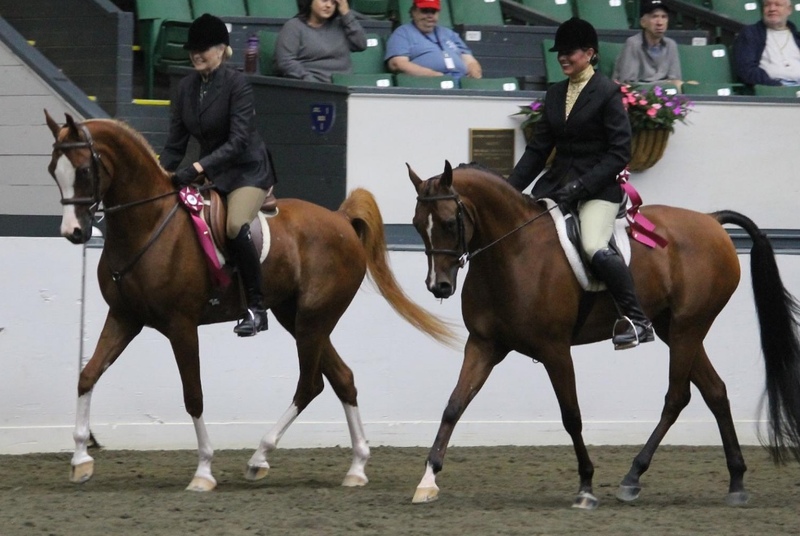 Picture is Mademoiselle VA+ and Azuro VA – making their Region 16 Top 5 victory pass in PB Hunter Pleasure for the Junior horse.